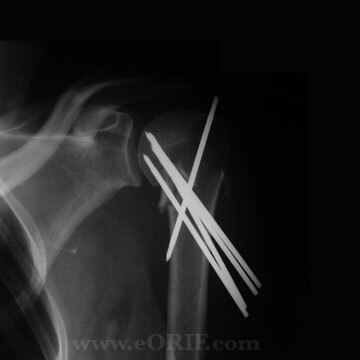 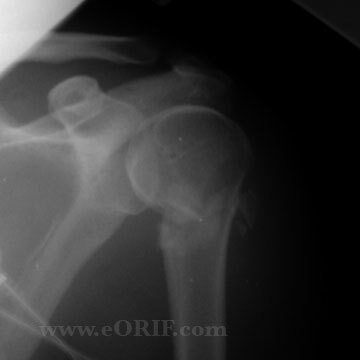 61y/o female sustained closed left two-part proximal humerus fracture in a fall. 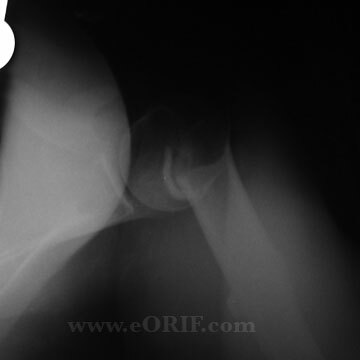 A/P injury view shown. 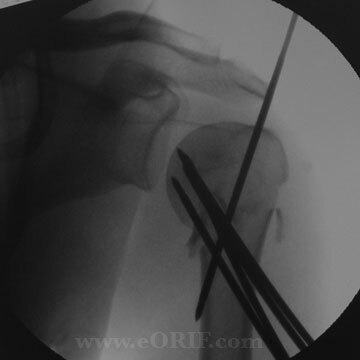 Underwent closed reduction and percutaneous pinning with 2.5mm partially threaded pins. 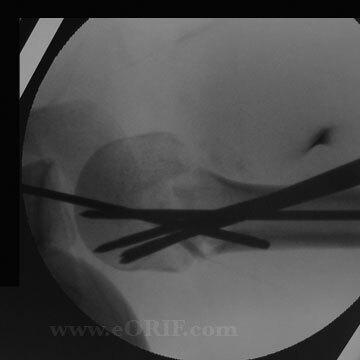 Intra-operative Grashe view shown.